Open-source snippet manager powered by GitHub Gist. 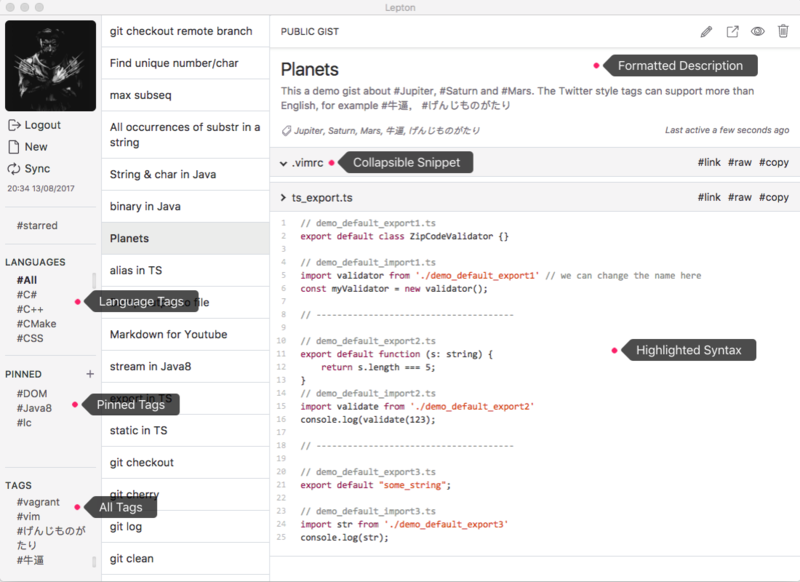 Lepton is a lean code snippet manager based on GitHub Gist. Check out its latest release. Register your application, and put your client id and client secret in ./configs/account.js. Read electron-builder docs and check out the code signing wiki before building the installer app. Need a running Docker daemon to build a snap package. Build apps for macOS, Windows and Linux. Build apps for the current OS with the current arch. Check out the .leptonrc template to explore their options.